About the Book: Never underestimate the power of a determined witch. Design Requirement: Clean readability suitable for the young adult market, in a classic style to suit the antique look of the cover. Keeping it simple was a smart choice for this project, with traditionally indented paragraphs and chapter headings that don’t overwhelm the page. Learn more about this YA fantasy series at MissMabels.com. 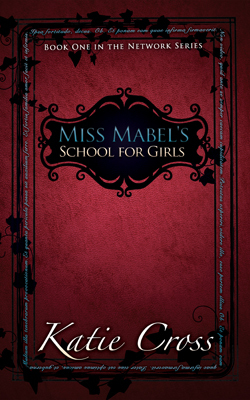 Miss Mabel’s School for Girls is available from Amazon.